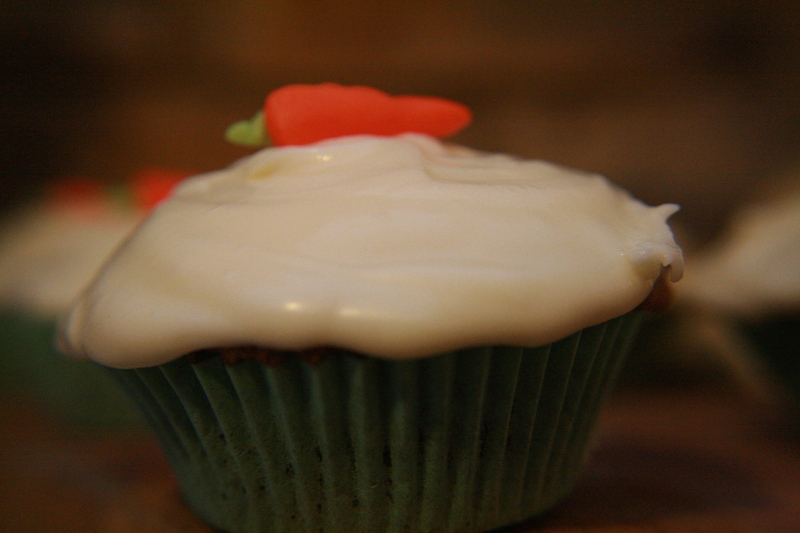 This is a very good carrot cake that is suitable also for cupcakes. 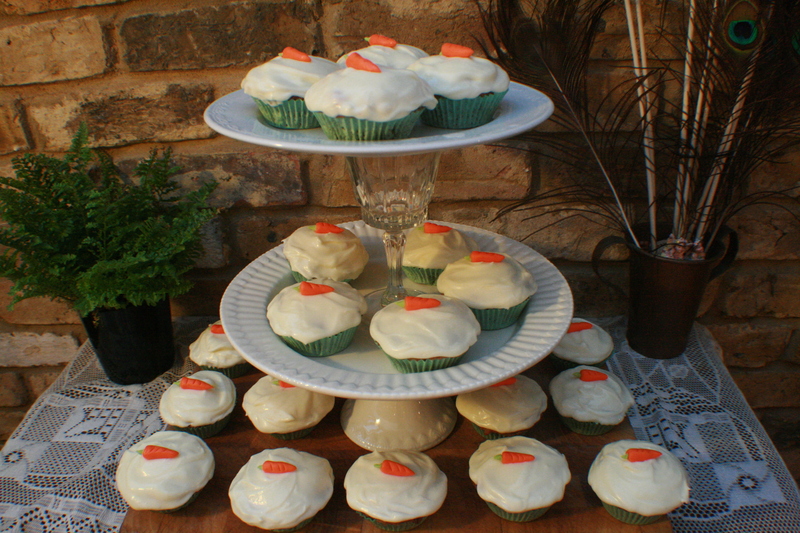 The frosting on the cupcakes is cream cheese frosting (yummy) and the carrots were made from fondant. I think it was summer when I made these, in the pics they look a little melty. 1. preheat oven to 180. line and butter three 9 inch round cake pans, dust with flour, tap out excess. 2. whisk ogether flour, baking powder, soda, cinnamon, salt, ginger, and nutmeg. 3. beat butter and sugars togetheron medium speed until plae and fluffy. add egs – one at a time – beating well after each. beat together three mins. 4. add vanilla carrots and water. beat well until combined. 5. reduce speed to low and add flour, then 1 cup of the pecans. 6. scrape better into prepared tins and bake rotating tins half way through, until golden brown and a skewer comes away clean – approx 30 mins. 8. place one cake on platter and top with 1 cup cream cheese icing. repeat with second laer. add third and final layer and cover with rest of icing. press remeining 1 cup chopped pacans into sides.